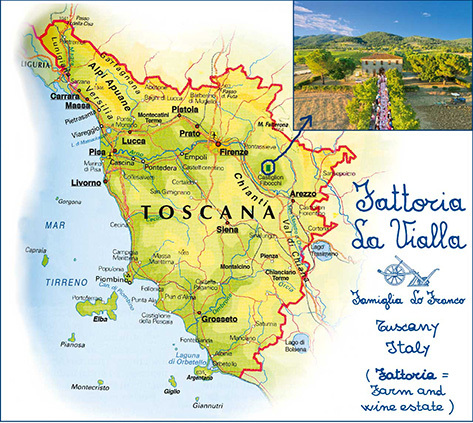 Fattoria La Vialla is a large, family-run farm and wine estate in Tuscany. 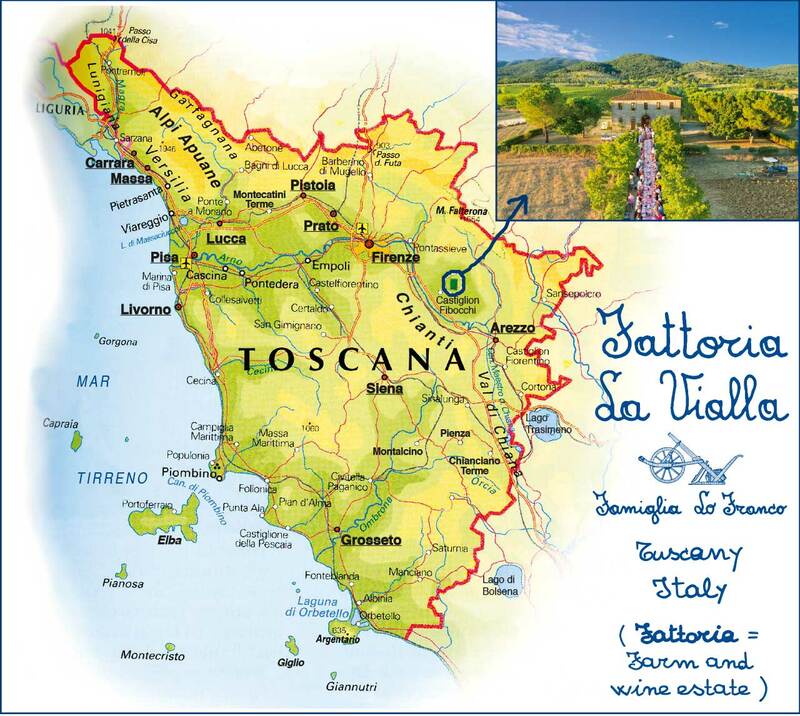 For roughly 40 years it has been cultivating its land using organic (ICEA certified) and biodynamic (Demeter certified) methods, producing Extra Virgin Olive Oil, DOCG Wines and many other specialities. 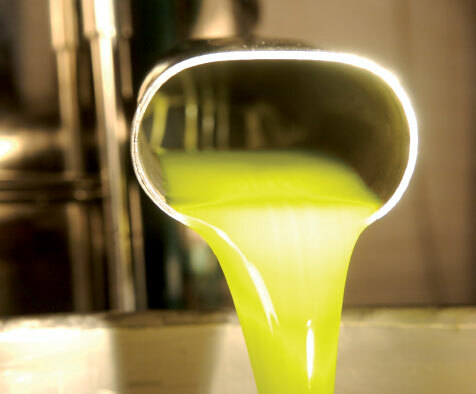 From the waste water produced when cold pressing olives, the so-called vegetation water or “acqua mora” (= dark water), La Vialla has created a nutraceutical product that has been granted two patents. It is a liquid phytocomplex containing a natural mixture of polyphenols from olives (hydroxytyrosol, oleuropein aglycone, tyrosol, verbascoside, chlorogenic acid, secologanoside and many others) in a concentration up to 20 times greater compared to extra virgin olive oil. 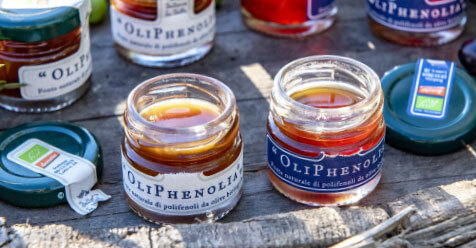 OliPhenolia, this is what it’s called, is a dietary supplement that, on the contrary to many other supplements that are synthetically produced, is completely natural and biodynamic, certified by Demeter. 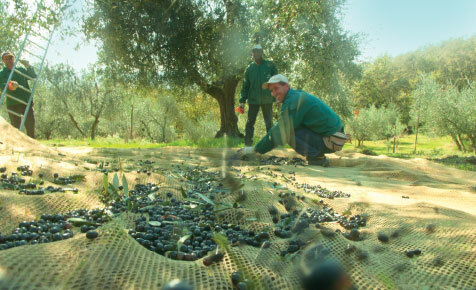 It is a seasonal product, which contains solely the vegetation water – mechanically filtered and purif ied, cold and without the use of solvents – from organic, biodynamic olives exclusively picked in Fattoria La Vialla’s olive groves. Olive polyphenols (in particular hydroxytyrosol and its derivatives – which in nature are only found in the fruit and leaves of the olive tree) have been the focal point of research regarding their properties for over 10 years, and there are dozens of scientific publications on the subject.